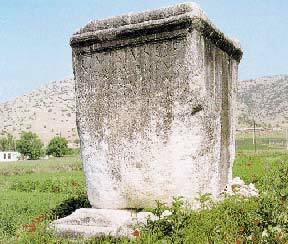 The most important archaeological site of eastern Macedonia, with characteristic monuments of the Hellenistic, Roman and Early Christian periods. 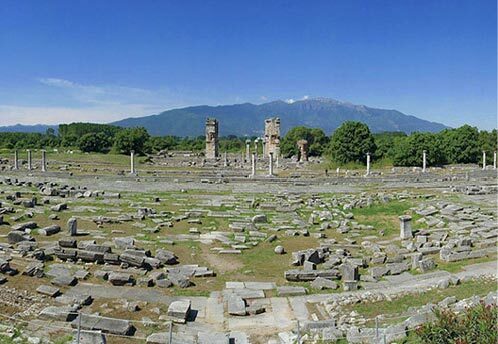 The history of the site of Philippi begins in 360/359 B.C. 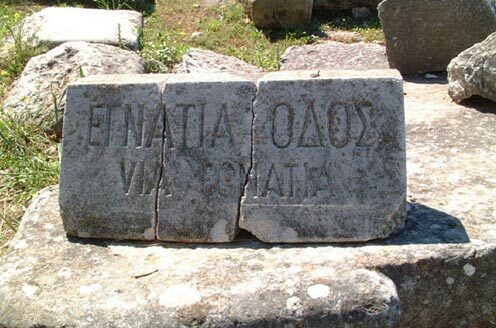 when the colonists from Thasos founded the first city, called Krenides. In 356 B.C. 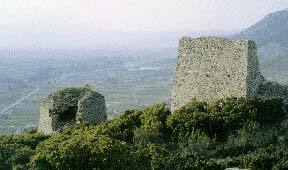 the city is endangered by the Thacians and it turns to king Philip II for support. 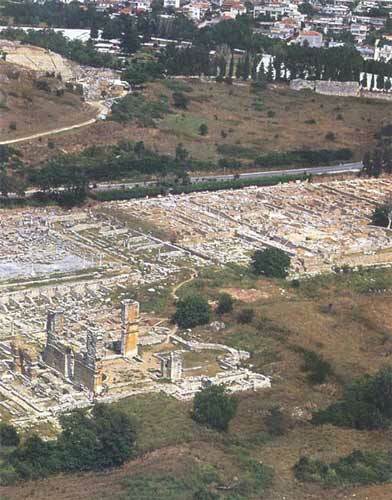 Philip had already foreseen the economic and strategic importance of the city, so he conquered it, he fortified it and he renamed it after himself (Philippi). 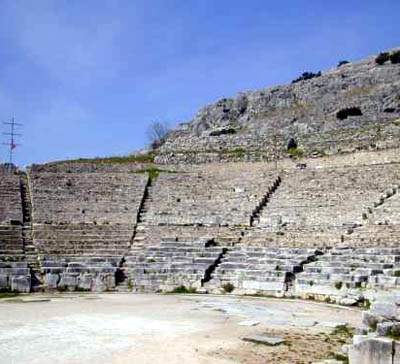 After the battle of Philippi, in 42 B.C., the city became a Roman colony and its importance was stressed by the fact that it was located on the Via Egnatia. 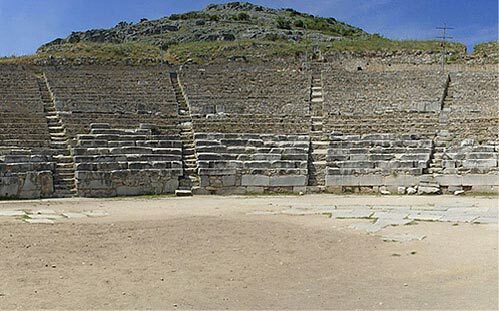 A landmark in the history of Philippi was the year A.D 49 or 50, when Apostole Paul visited the city and established there the first Christian Church of Europe. 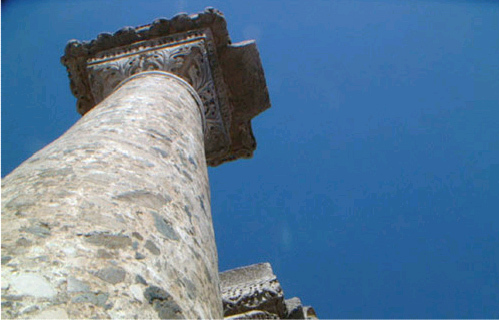 This made Philippi a metropolis of Christianity. 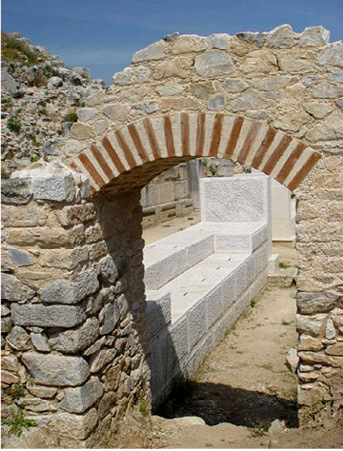 During the Byzantine period (A.D. 963-969) the walls of the city were reconstructed and at the same time the towers and the wall of the acropolis were built. 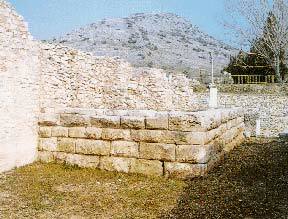 The excavations on the site of Philippi began in 1914 by the French School of Archaeology at Athens. 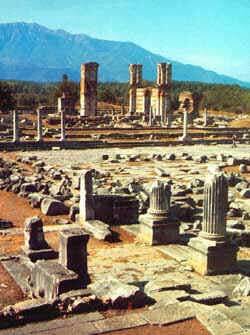 After the Second World War, excavations were resumed by the Greek Archaeological Service and the Archaeological Society. 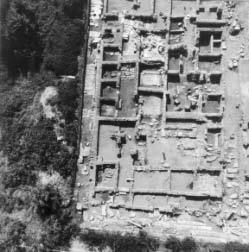 Nowadays, the archaeological exploitation of the site is carried out by the Archaeological Service, the Aristoteleian University of Thessaloniki and the French School of Archaeology at Athens. 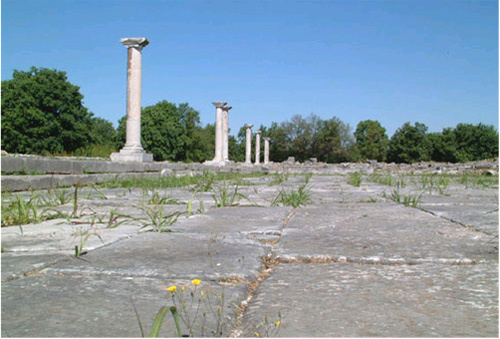 The finds from the excavations are housed in the Museum of Philippi. The line of the walls begins at the top of the hill and it surrounds the foot of the hill and part of the valley below. 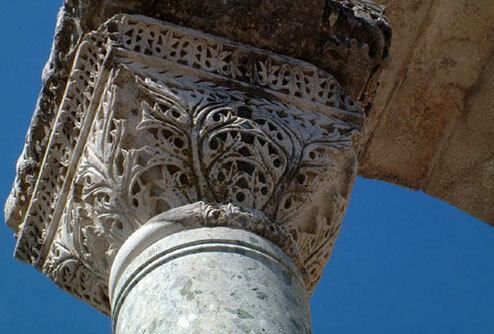 The structure has two architectural phases: the first was built by Philip II and the second by Justinian I in A.D. 527-565. Inside the acropolis there is a tower dated to the Late Byzantine period. 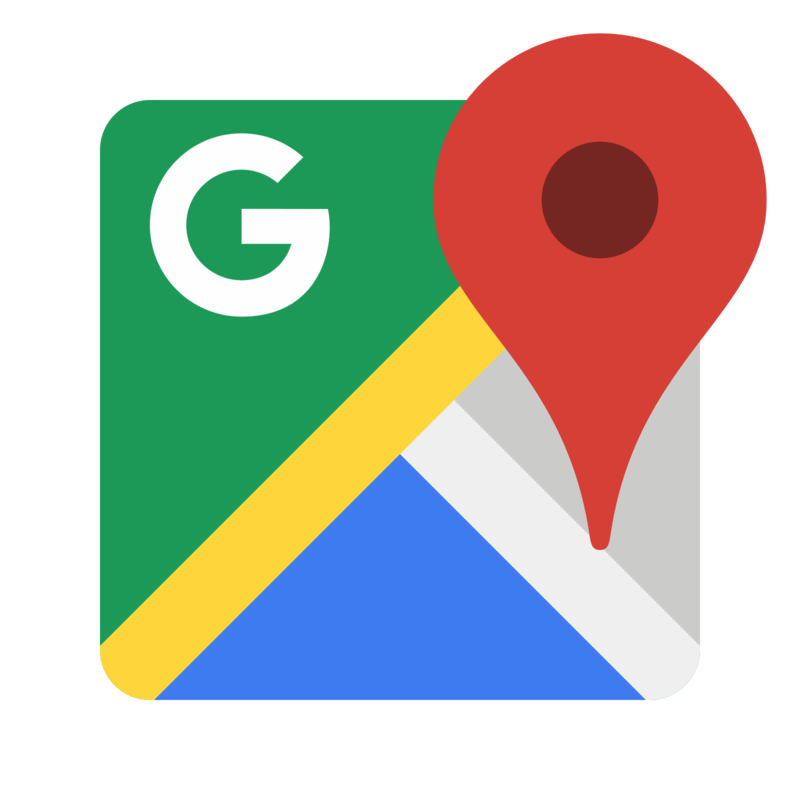 It was probably built by king Philip II around the middle of the 4th century B.C. 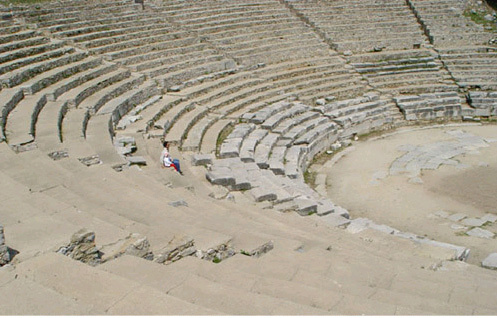 In the 2nd and 3rd centuries A.D. large-scale rearrangements and additions were made so that the theater's function could face the needs of the performances of the time. 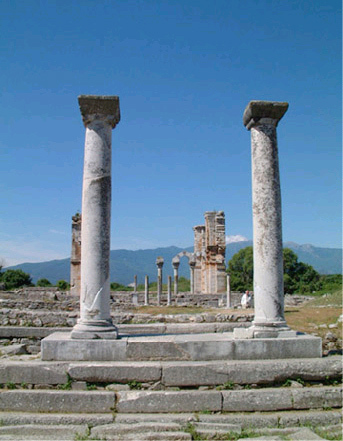 The Agora was the adminstrative centre of Philippi in the Roman period. 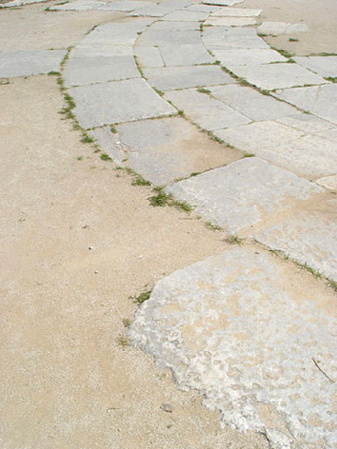 It is a complex of public buildings arranged around a central open square. The most imposing buildings are the North-East temple and the North-West temple. The largest part of the monument is now covered by Basilica B. 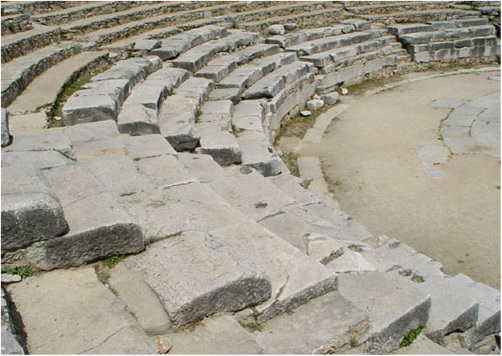 The Palaestra comprised a peristyle central court, rooms and a small amphitheatron. 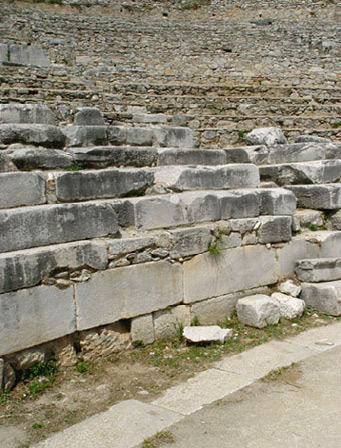 The best preserved part of the whole complex are the vespasianae on the SE corner of the building. Tradition has it that in this place Apostole Paul was imprisoned. The structure is actually a Roman water cistern which was later converted into a cult place. Large, three-aisled basilica (130x 50m) with transept aisle on the east side, a square atrium, and gallery over the aisles and the narthex. Fragments of the luxurious pavement and part of the ambo are preserved in the middle aisle. Particularly impressive are the frescoes that imitate orthostates (dados) in the porch of a chapel. 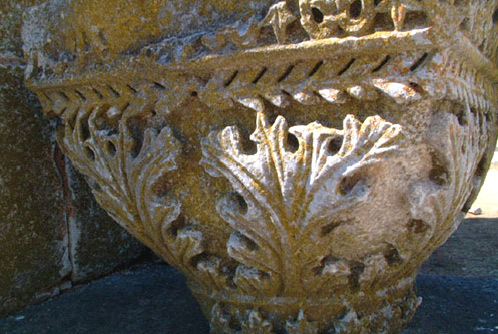 Dated to the end of the 5th century A.D.
Three-aisled basilica dated to ca. 550 A.D. It has a narthex and annexes to the north and south (phiale, vestry). The almost square in plan, central aisle was covered with a vault supported by large pillars. A second vault roofed the Holy Bema. Its sculptural decoration is under the influence of Costantinople. An impressive three-aisled basilica with narthex and transept, and a double ambo. It had luxurious marble inlays on the floor and rich sculptural and architectural decoration. 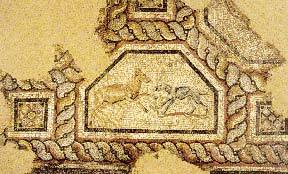 Dated to the 6th century A.D. The building is square in plan as seen from outside and octagonal in the interior. The nucleus of the whole structure is the vaulted tomb-heroon of the Late Hellenistic period. The octagonal church was built in ca. 400 A.D. and replaced the first small church dedicated to Apostole Paul. 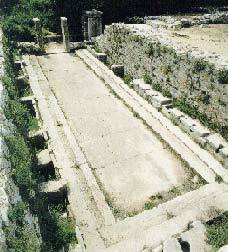 In the area between the "Via Egnatia" and the cult buildings of the Octagon, is located one of the Baths of Philippi. The two - storeyed Bishop's House occupied the architectural block to the east of the Octagon. 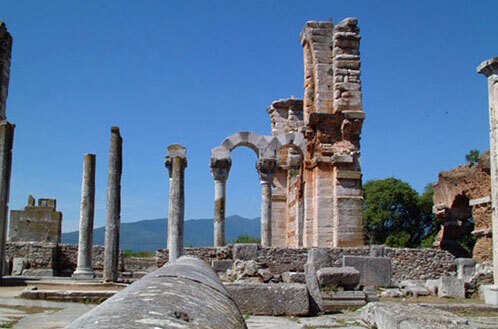 The complex also includes the phiale, a baptistry and a monumental gateway towards the Via Egnatia.